last week looked a little something like this. the weathermen continuously referred to this as snowtober, which i loved, naturally, because i love made up nicknames. especially when they combine two words. fostie the snowman ROCKED this one piece snowsuit, which was either bought at a garage sale or passed down from someone. seriously whoever gave this to me, find me, because i want to kiss you on the mouth. it makes his waist twice as wide and forces him to waddle. could anything be better? i called him the lumpy blue marshmallow which brody thought it was hysterical. foster had no clue and just kept saying "mallow, mallow." can't find a single pair of gloves in the entire house? no problem! socks it is. i love watching my kids eat snow. it's the one food they like. can i call it a food? at their next checkup with the pediatrician, she will ask "are they eating so many servings of this food group? and how about this food group?" um no. food group? whatchu talkin' about? just snow, lady, s-n-o-w. count it. after i tucked the boys into bed i sipped hot cocoa, watched the snow fall some more, and desperately wished there was a disney channel christmas movie on. 'twas a good snowtober. 'twas, 'twas. wow! snow! it was like 70 here today! cute babies. thanks danielle! i'm soooooo excited. :) how fun to have the snow - we are suppose to get our first dusting of the lovely white stuff tomorrow evening. i've got the cocoa ready. 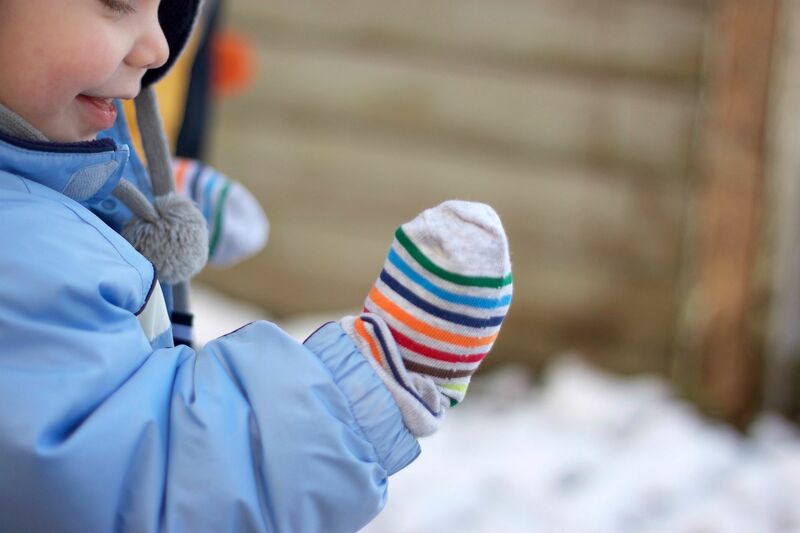 we use socks for mittens here, too! and i'm all for snow during the holidays, but after christmas i start counting the days until spring. Oh my gosh, I cannot believe you had that much snow! It looks like the kiddos had tons of fun! NO WAY! It's supposed to be warmer here today than it was on the day we all met up for lunch in Seal Beach! Whoa! 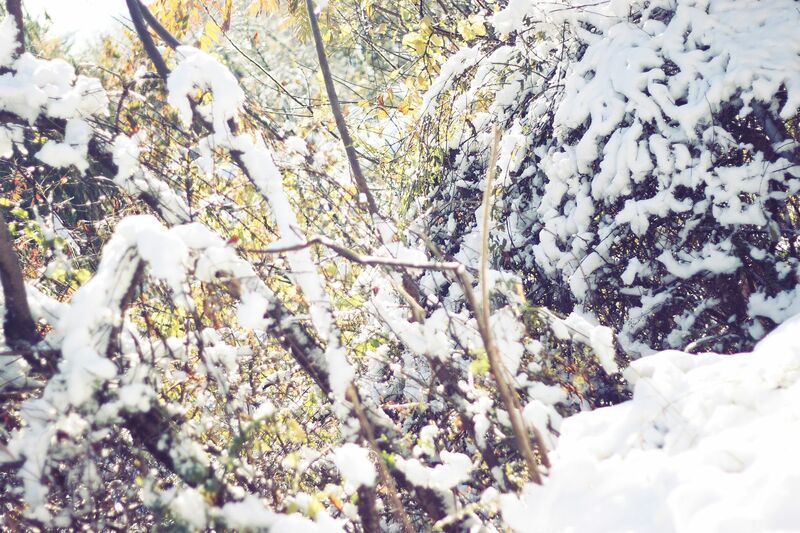 That snow is crazy...but totally beautiful! 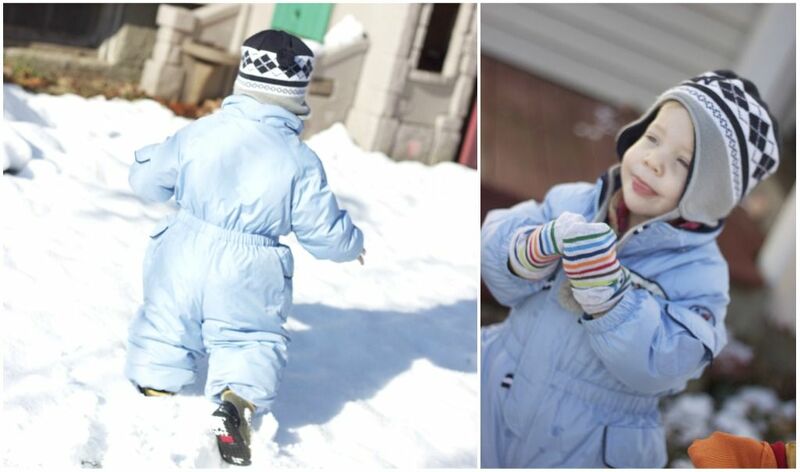 And seriously, that snowsuit cracks me up...such adorable boys! oh my gosh! i can't believe you guys have gotten that much snow already! i'm surprised we haven't gotten hit in ohio! your kiddos sure look sweet in their snow suits though!! ahhh! its far too early for snow!! : ) but looks like soo much fun! I live in PA and it looked like that near me too...crazy weather...the kids loved it!! omg SO jealous. looks like yall had an amazing time!!! :) stay warm! We got a coating here but nothing like this! Funny what can happen just a few hours away! oh my goodness, that snowsuit reminds me of the little kid in "a christmas story". hilarious. so fun to have a snowy weekend! !